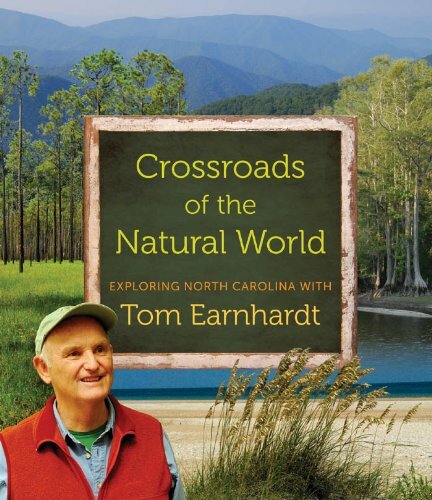 * Editor’s Note: The Outer Banks are a series of small barrier islands off the coast of North Carolina, they include Hatteras Island, Ocracoke, Roanoke Island, Bodie Island, and Ocracoke Island. My passion has always been for traveling and for photography, but my wife loves the beach. As the spring of 2017 approached, I needed an idea for a vacation destination that my wife and I could both enjoy. That’s when I remembered hearing about North Carolina’s Outer Banks. Who: Multi-generational family destination. Kid Friendly. Tip: Use insect repellant and sunscreen. 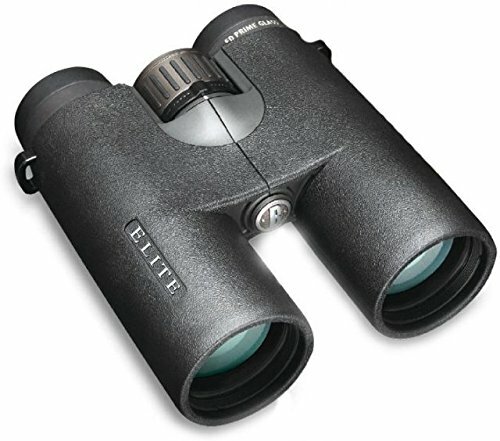 Best wildlife viewing early morning & evening. I was just a young kid then, and I thought, “that sounds really far away, I’ll never get there,” but the truth is it is only a 6-hour drive from my home in New Jersey – an Outer Banks vacation it would be! I spent the next few days looking for ideas for places to stay, where to go, and what I could photograph. The accommodation choices range from hotels to bed and breakfasts, to vacation rentals right on the beach – there is something for everyone. We decided on a beachfront home in Southern Shores for my wife and I, along with another couple who love the same things, for the first week of July. My Wife, a Dog, Good Friends plus Black Bears & Wild Horses! As the time approached, I began planning our daily excursions. They would feature seeing the wild horses of the outer banks and visiting Alligator River National Wildlife Refuge in Manteo, North Carolina. July came quickly. Finally, with my wife, dog, and gear (listed in order of importance) all packed in the car, we set out for our week at the beach. Arriving on Sunday for a 7-day stay was a good plan. Seems that most visitors plan their weeks to begin and end on Saturday causing the traffic sometimes to be much worse than even here in the New York City area. When we entered our home for the week and walked out to see our view, we were in awe. The view of the beach and the Atlantic are hypnotic! The next day we set out well before dawn heading to the Alligator River National Wildlife Refuge, but we had one important stop to make first. The Roanoke Marshes Lighthouse in Manteo is just a short drive over the Albemarle Sound, about 30 minutes from Alligator River NWR. Since it was first finished in 1858, It has been rebuilt 3 times and changed locations twice. It had my interest. I had to photograph this unusual lighthouse at sunrise! I did, and we were on our way again. 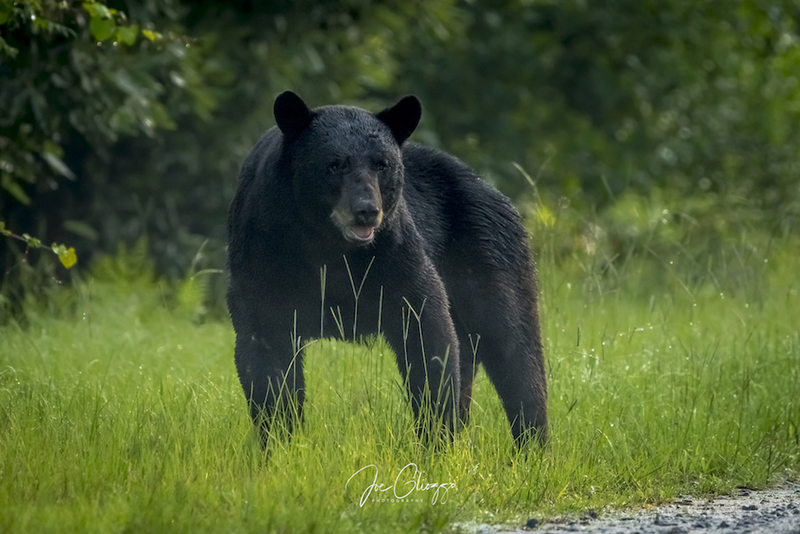 Once we arrived, I knew I was going to fulfill my wish to photograph black bear! We couldn’t have gone more than 200 yards when around a curve in the road and just 50 yards in front of us was a gigantic male black bear. I pulled over quickly and started to take photos. I was mesmerized by the size of him and the fact he was moving in our direction and completely forgot to shut the engine on my SUV to avoid sensor vibration in the camera. The bear came to within 30 feet or so of the car, but before I could even close my car door, he decided to turn into the woods. Was he more afraid of us than we were of him? About 3 minutes later he came back out the other side of where we had stopped. It seemed he just detoured to avoid us. I dubbed that great bear “Scarface” because of a large and angry scar above his left eye. We headed on after our encounter with Scarface, stopping again at an intersection to talk with some other visitors. Something was crawling across the roadway. I’m not 100% sure but I’ve been told that this was a (venomous) cottonmouth snake. I could not help but think to myself that this is a vacation especially for people (like me!) who love the outdoors and all wildlife. The rest of the morning we continued to see a lot of bear activity, but they stayed far out from the roadway - too far away for quality photos. The refuge’s soybean fields (on drained wetlands) are part of the refuge’s agricultural program. The primary purpose of the program is to provide open habitat areas with extensive amounts of food for migratory, wintering, and resident wildlife, and waterfowl, including ducks, geese, tundra swans, and many other species. 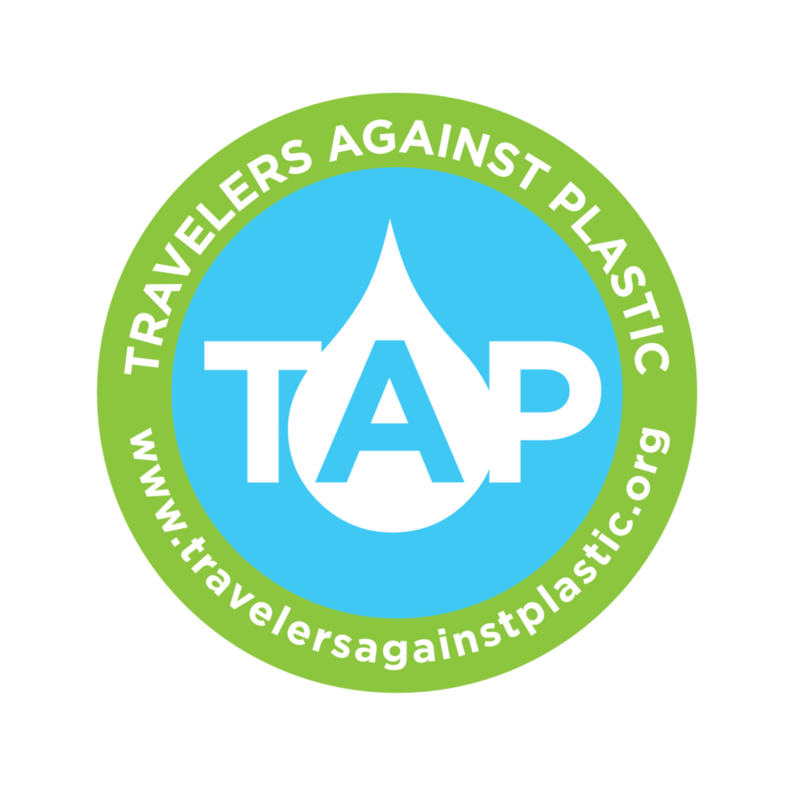 Priority is given to migratory and endangered species, neotropical migratory birds, and resident game birds. This habitat also attracts small non-game mammals which provide a food base for predators. Mammalian game species such as the cottontail rabbit, white-tailed deer, and black bear thrive around these cultivated fields. Over the next few days, we returned to the Refuge a couple of more times. On our last visit, we finally found a black bear sow with her 3 cubs out enjoying a meal in the soybean fields. It was an incredible 30 minutes or so watching them eat and play joyfully among the crops - something I will never forget. What: Self & guided horse viewing tours, beaches, history, amazing sunrises and possibly a ghost. 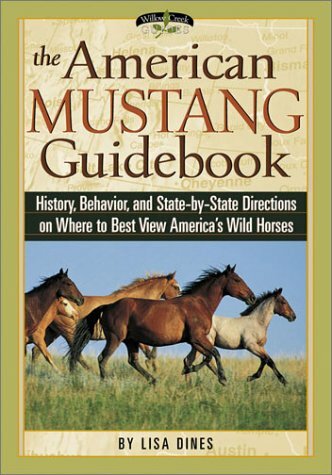 Species: Wild mustangs, red fox, shore birds. Another highlight of this trip was a visit to the Northern Beaches of Carova and Carolla to see the wild horses. This is the northernmost part of the Outer Banks and the most unique spot that I’ve been to (so far!) in all the United States. Driving north on highway 12 through Corolla you will come to a turn in the road heading east. This road puts you out onto the beach legally accessible by 4-wheel drive vehicle – and over the next 10-12 miles you need one – but it is well worth the effort. 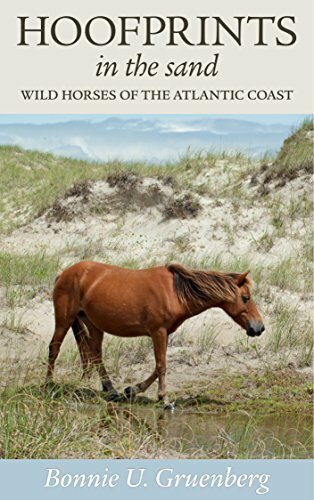 It’s here that you will find the wild horses of the Outer Banks. You can rent a 4-wheel drive vehicle to see these beautiful animals at your leisure, or take a guided tour in a beach buggy with up to 15 others, or hire a private guide who knows the layout and the most likely spots the horses could be found. This is what we did, and it turned out to be a great decision. We met our guide at just about sunrise to get a 2-hour jump on the other incoming beach buggies. This gave us almost the entire beach to ourselves. It wasn’t long before we had our first sighting of the horses. On the sandy roads amongst all the private homes, we came across a farm field with 4 or 5 of these beautiful animals. There was a slight mist in the air and getting photos of the horses with water droplets on them was a bonus to an already exhilarating morning. We spent only about 15 minutes there before we headed down to the beach to try and get the quintessential shot of them with the ocean in the background. We didn’t get that lucky, but we did come across a herd of about 8 wild horses playing and grazing amongst the dunes. If you really want to get the shot of them near the ocean it’s better to visit here in May and June. The horses can be found all the way down by the water’s edge during those months. There are several reasons for the wild horses being forced to take refuge on the beach. One of them is the constant presence of the biting flies. It is said that there can be as many as a couple of hundred flies on each horse. These little buggers are so annoying that even an animal as tough as a horse needs to run from them. In May and June, the ocean breeze and spray help keep the flies at bay. Seeing the horses in May or June is exciting for another reason too. In addition to taking refuge by the water, this is also the best time to see them with their foals. From my experience in wildlife photography, there’s nothing better than capturing photos of babies with their parents. But come July the return of cattle egrets to the area offer them some relief so they can spend more time in the dunes grazing. Cattle egrets are large white birds that originated in Africa. You have probably seen a picture of one standing on the back of a zebra or other large animal. They arrived here on the eastern shore in the 1950’s when a hurricane they got caught up in made landfall. 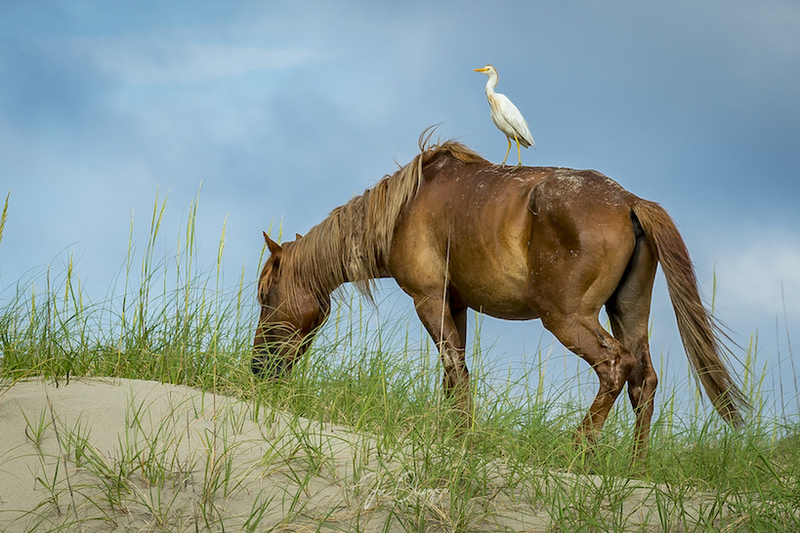 The egrets thrive on flies and have figured out that being around the horses on the ground and even “pony riding on their backs” will give them plenty to eat. Another wildlife opportunity to be aware of is the possibility of seeing a red fox with its kits. I didn’t have enough time to search the entire area deep inside the dunes, but if you put in the time, you just might find an active den. 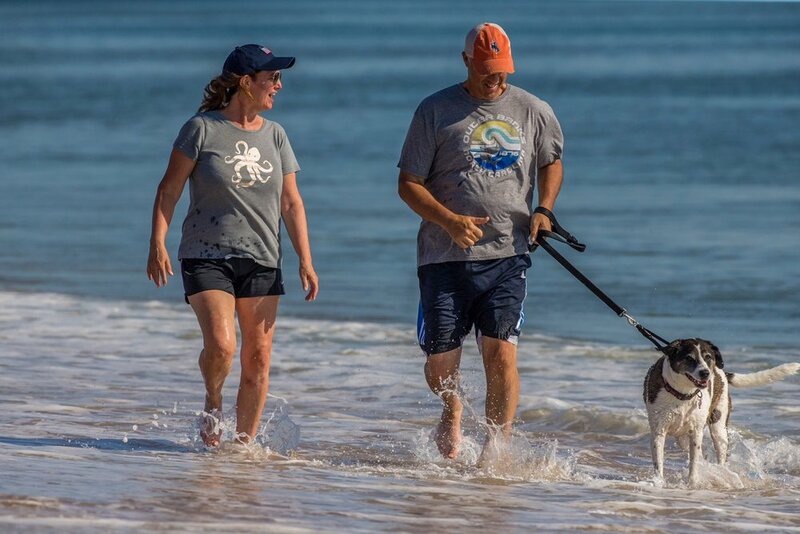 Editor’s Note: The beach is a mix of public and private lands, not a “sanctuary.” The wild horses are monitored and cared for with help from the Corolla Wild Horse Fund (non-profit 501 3C). Today the herd is kept to about 100 animals. Visit the CWHF headquarters in the Ocean Club near the Visitors center in Carolla. There is also an educational museum-store. All proceeds go to support the wild horses. Donations are tax deductible. Wash Woods Tower, built in 1917 as a rescue service station for ships wrecked off the coast. In 1988, after decades of neglect, it was privately bought & restored. Some say a man named Mose haunts Wash Woods. Hmmm. One other thing I’d like to mention is that while exploring the dunes, you might come across the old Wash Woods Coast Guard Base # 166 and the German U-Boat watchtower. The tower has been destroyed by hurricanes numerous times, but it is always rebuilt. Here, during WWII, the coast guard kept a 24-hour watch on “Torpedo Junction,” which is what this area was called, for any German U boats in the shipping lanes. There were several of watch stations up and down the east coast, but this one seems to be the most notable. Finally, I’d like to mention that we sometimes take what our country has to offer for granted. The beaches of North Carolina are among the most beautiful in the world. Stretching for over a hundred miles, they offer incredible views and breezes of the Atlantic, especially at sunrise. 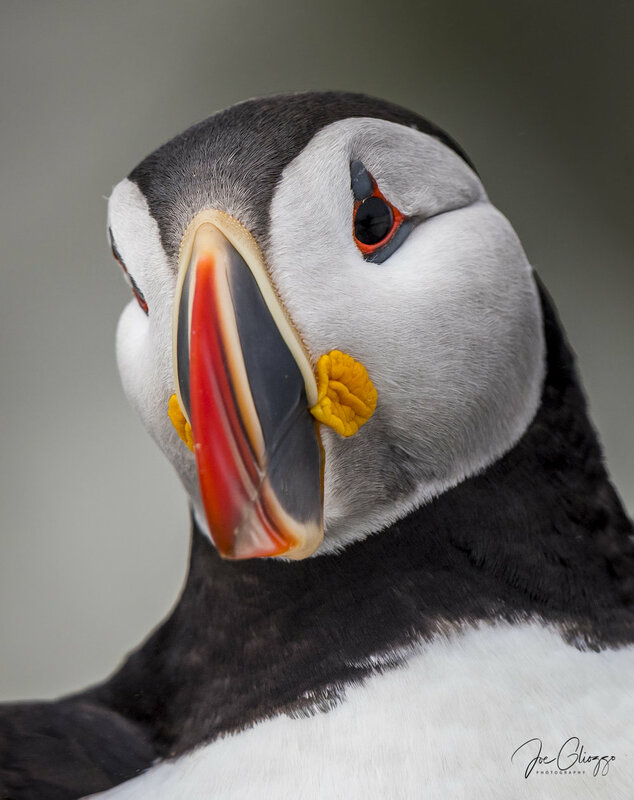 Some of the best wildlife destinations are right here too in our own country and just taking the time to do a bit of research can reveal that they might even be closer than you think. This is what happened to me, but it took me the better part of fifty years to figure it out! Do not chase or harass the horses or other wildlife. Be Quiet. Refrain from horn blowing or other loud noises including your voice. Be Patient. Sit still and quietly and the wildlife will come to you. Be Considerate. 2/3 of the wild horse habitat is privately owned land. Fill your tank. Make sure your gas tank is filled before heading to the beach. Be aware! Pedestrians including children and dogs as well as the wild horses share the beach. Did you enjoy this story? Tell us below!